Let’s tackle a block that would cause you to pause at your machine but will become your “Go-To” thing for destressing! Hand Piecing Rocks! 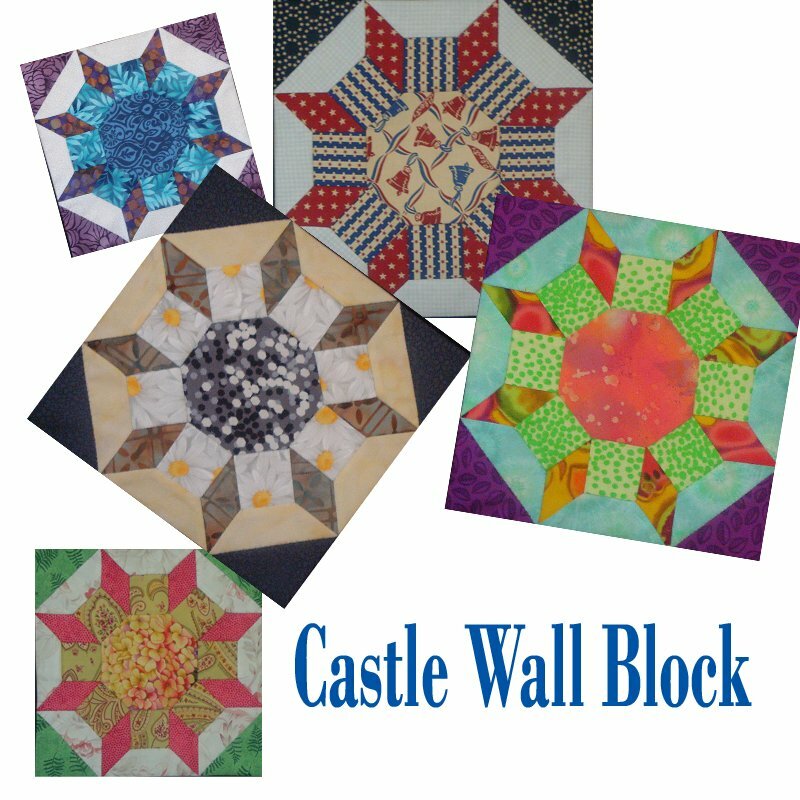 Join me for a slow speed workshop covering the hand piecing tips and tricks of the Castle Wall Block. This versatile and complicated block becomes a joy to do when sewn by hand. Perfect points will happen! We will use traditional templates to cut out our shapes with hand scissors. This entire workshop is about easy peaceful quilting. A kit will be required that will include a set of Castle Wall Templates, a sheet of freezer paper , a spool of Aurifil Thread and a sample of a Hemmings Milliners needle and several different pins. All you need to bring is 5 scraps of fabric (see supply list for detailed sizes), your favorite fabric scissors, two gel pens (light and dark), a pencil and sharpener, a thimble, and stories to share while we hand sew piecefully together. (yes a play on words there). Some may find bringing an ott light and small hand work scissors also helpful.